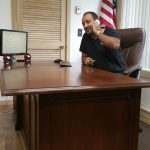 Business Summary: Mobile Notary Signing Agent for Lowell MA. Making house calls and same day visits to local Nursing homes, hospitals, and office. 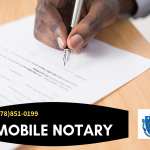 Lowell MA Mobile Notary has signing experience in the areas of Adoption, Mortgage, Banking, Finance, Legal, Medical, Real Estate, Cori Checks, Wills & Probate and much more. Business Summary: We provide our Mobile Notary Service to Individuals and Businesses. We can send our Notary to you at an Airports, Assisted Living Communities, Hospitals, Nursing Homes, Physicians, Office Building, Residences, or any other mutually convenient location. When you, your clients, customers, patients, friends or relatives; need a notarization done correctly on time and on budget. 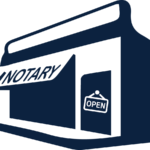 Business Summary: Massachusetts Notary Public: Lowell MA, Tewksbury MA, Dracut MA, Chelmsford MA, Billerica MA Area residents and businesses can visit Neighborhood Parcel for all document notary needs including Mortgages, Financial documents and any other legal documents.